Januzaj: "I'm first team material Marc Wilmot"
Adnan Januzaj was one of the few bright sparks to come out of David Moyes’ Man United reign. Under Louis van Gaal, however, the Belgium youngster drifted to the periphery and was loaned to Borussia Dortmund for this season. Now Januzaj could be in hot water with Belgium after refusing to play for the under-21 side. Facing a crucial Euro 2017 qualifier against Czech Republic, Belgium manager Marc Wilmots chose to send some of his eligible senior players to the under-21s. Liverpool striker Divock Origi and Valencia winger Zakaria Bakkali were both dropped along with Januzaj. But the Dortmund loanee isn’t prepared to take a step down and has withdrawn himself. 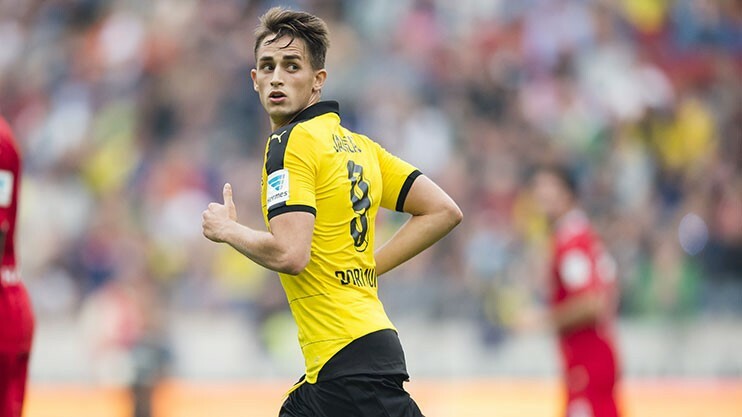 The move could have major ramifications for Januzaj’s hopes of making Belgium’s Euro 2016 squad. Not the brightest move Adnan!